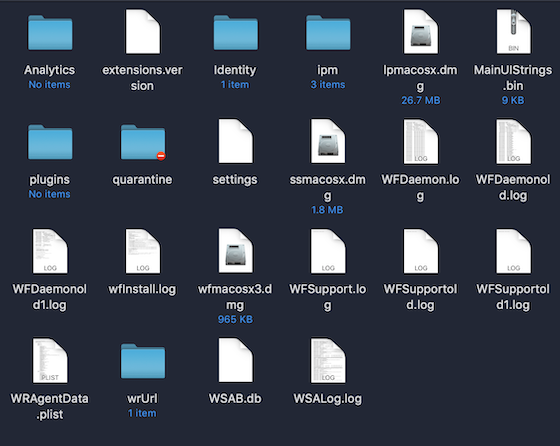 Im just wondering if there's a complete Sudo or Terminal Commands that will remove all files from Webroot for MAC. I've been struggling for years that we always have to connect to support to remove the AV from our computers. No uninstallers or removal tool available. Why is that? The support agents seem to run all commands, why is it not available on support websites for a guide to completely remove it and just always redirect for filing a ticket. Hello heartlessheart69, Welcome to the Webroot Community Forum. Yes, Webroot does have Sudo Commands to completely remove Webroot from the Mac Computer. I don't know though if the sudo commands change for every Mac version. I don't want to give you the wrong information. It's best to submit a Support Ticket and they will send you the right sudo commands for your Mac. Make sure to tell them what version macOS you're running. Please submit a Support Ticket. This service is FREE with a Paid Subscription. Thank you for contacting Webroot Support. Our apologies for any inconvenience. For the issue you are reporting, we would like to work with you directly over the phone to resolve this as quickly as possible. Webroot’s US hours of availability are 7AM – 5PM MST, Monday through Friday at 1-866-612-4227. For contact information in other countries, a href="http://www.webroot.com/En_US/about-contactus.html" target="_blank"click here/a. When the Contact Us page opens, click the tab for the country that works best for you. Can't guarantee it removes every last file, but it should run the basic uninstall. The basic uninstall leaves all these files behind. I believe to OP want all these files off of his computer. I have the old list of Sudo Commands, but it's a few years old. Webroot may have changed the list. It is a long list and after they are applied there is no trace of Webroot on the computer.